Aberdeen Park is an unexpected expansive leafy haven in inner London with public access. The residents are responsible for most aspects of Aberdeen Park's upkeep and is reflected in its relaxing ambience. Why aren't more places like this? There are 341 address in Aberdeen park, predominantly domestic architecture covering 150 years. There are four storey Victorian villas on the South and East perimeter with iconic Italianate towers built in 1850's for prosperous City merchants and well to do families. St Saviour's church is the only Grade I listed building in Islington, converted in 1988 but closed in 1980. Designed by William White, architect noted for his part in C19th Gothic revival and church restoration. After moving to London from Lemington Spa he became an Improver in George Gilbert Scott's (designer of Albert Memorial, Hyde Park) team for two years. William White worked on five churches in London including Battersea and Wandsworth. He moved to Truro, Cornwall. Most of his work was done in Devon and Cornwall. Hillmarton Road and Upper Pooter-land. Lace curtains screening other plants beyond"
As these in the stencilled chancel where I kneel in the presence of God." 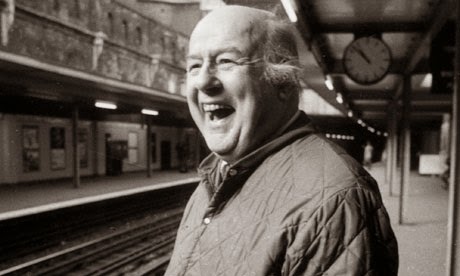 John Betjeman is currently rate #344 in the top 500 poets.